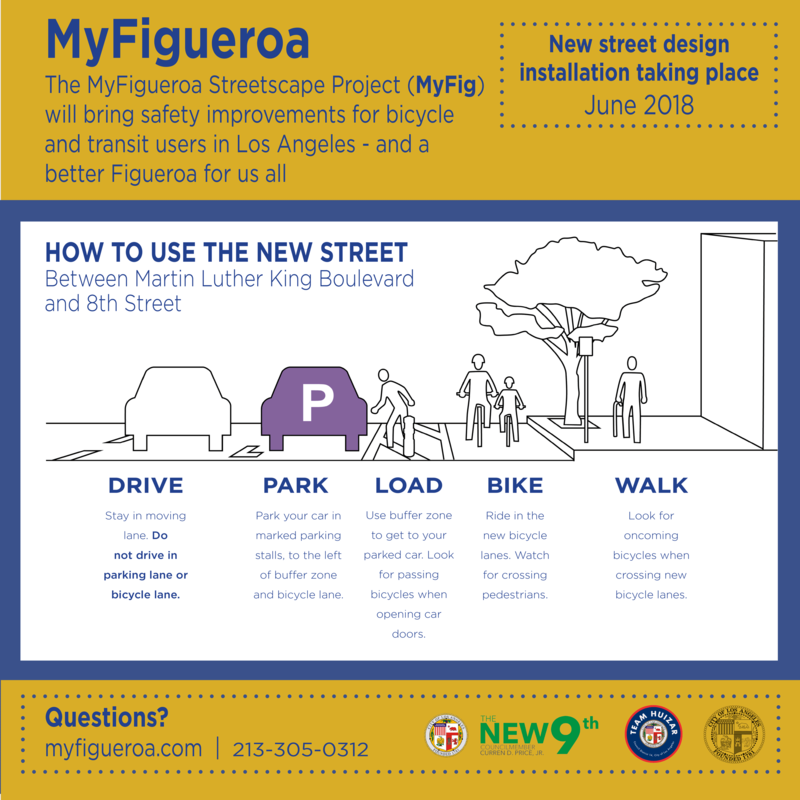 You may have noticed the new lane striping going in along Figueroa. There is no parking or idling allowed on the curb, since this is now the bike lane. Here's a useful diagram showing how to use the new street!